His name is Sig Haig and actually a really cool guy. He has done alot of movies and was in a James Bond film. the devils rejects sucked donkey balls…rob zombie is a hack director…sheesh!!! 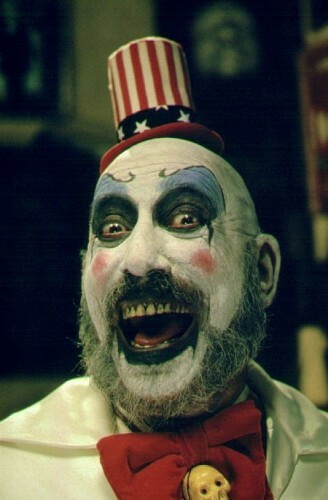 Captain Spaulding from House of 1,000 Corpses. Was also in The Devil’s Rejects as Capt. Spaulding and in Rob Zombie’s Halloween as the groudskeeper at the cemetary. rob zombie’s daughter is hot. …daughter? He has a daughter? I don’t know of any daughter, but his girlfriend Sheri Moon is killing hot!! !